Two centuries ago, in the summer of 1812, while Britain was preoccupied fighting the armies of Napoleon in Europe, US President James Madison seized his chance to start a ‘second war of independence’ by invading its remaining North American colonies. 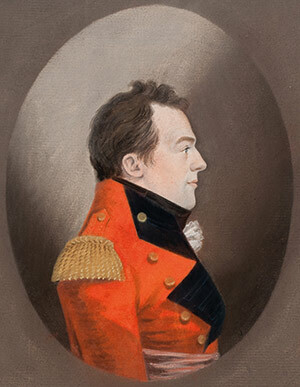 So began the War of 1812 –‘Mr Madison’s War’. At the time Thomas Jefferson predicted that the war would be ‘a mere matter of marching’, which would lead to the ‘final expulsion of England from the American continent’. It is not hard to see why he thought so. With just one-tenth of the population of the United States and only 6,000 regular troops, British North America seemed ripe for the picking.